Prudential plc is an international financial services group with significant operations in Asia, the US and the UK. We serve around 24 million insurance customers and have £496 billion of assets under management. At Prudential we’re absolutely focused on getting the best outcomes for customers. Ours is one of the most profitable and trusted names in life and pensions, and we lead the market in a number of pension products. The Company had fiscal 2016 sales of $7.5 billion from continuing operations in 50 countries and has a current market capitalization of approximately $30 billion. 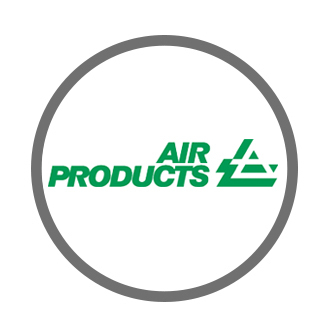 Approximately 16,000 employees are making Air Products the world’s safest and best performing industrial gases company, providing sustainable offerings and excellent service to all customers. At American Express Global Business Travel, we are driven by opportunity. Join us today to upgrade to a first-class career. American Express Global Business Travel provides leading travel solutions, integrated consulting services, proprietary research, and end-to-end meetings and events capabilities. These innovative offerings enable customers to optimize the return on their travel and meetings investments. Positioned at the intersection of commerce and travel, American Express Global Business Travel offers its customers a comprehensive network, service dependability, and deep insight to help move people and businesses forward. Learn more at www.americanexpress.com/businesstravel. American Express Global Business Travel is part of one of the worlds largest travel agency networks with locations in 139 countries worldwide. 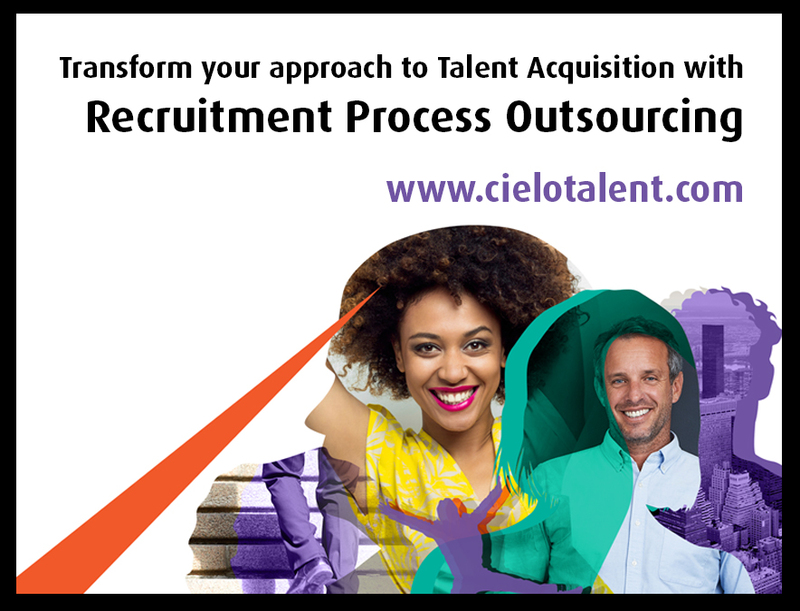 Cielo is the world’s leading pure-play provider of global Recruitment Process Outsourcing (RPO) solutions. Cielo leverages its global reach, local talent acquisition expertise and customized solutions to help clients achieve a sustained advantage and outstanding business outcomes through their talent practices. Under its WE BECOME YOU™ philosophy, Cielo’s global presence includes 2,000 employees, serving 140 clients across 91 countries in 33 languages. 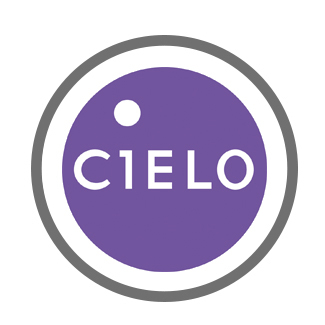 The industry has verified Cielo’s reputation for executing innovative solutions that provide business impact through numerous awards and recognitions, including its #1 ranking on the HRO Today RPO Baker’s Dozen listing, Peak Matrix Leader placement by Everest Group and Industry Leader designation by NelsonHall. Cielo knows talent is rising – and with it, an organization's opportunity to rise above. 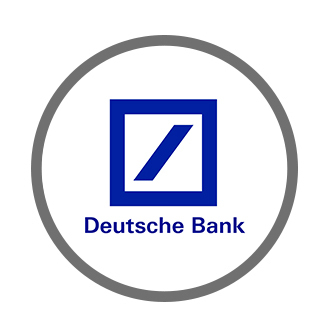 As a leading global bank with roots in Germany, we’re driving change and innovation in the industry – championing integrity, sustainable performance and innovation with our clients, and redefining our culture and relationships with each other. With operations in over 70 countries, we encourage our people to think for themselves and reward integrity. Our large but focused footprint gives us a strong position in Europe plus a significant presence in the Americas and Asia Pacific. We offer clients commercial and investment banking, retail banking and transaction banking as well as ground-breaking asset and wealth management products and services. So if you’re talented, collaborative and curious about building an exciting career in finance, you’re exactly the type of person who might succeed in our organisation. 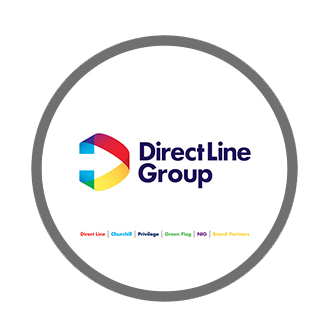 Home to some of the nation’s best-known brands, including Direct Line, Churchill, Privilege, Green Flag and NIG, Direct Line Group’s mission is to become Britain’s number one retail insurer. But to us, that’s about much more than the products we offer. It’s about the experience our customers can expect each time they get in touch. We want to be known for treating them better than anyone else. And that comes down to one thing. Our people. Thanks to their talent, tenacity and brilliant teamwork, they’re helping us lead the industry in every possible way. It’s an exciting place to be. So why not be part of it and add your name to the ones above. 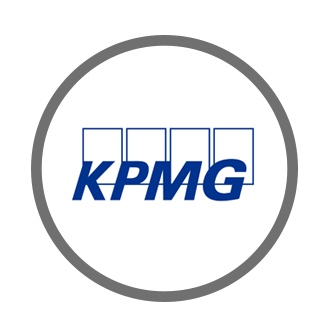 KPMG is a professional services company providing audit, tax and advisory services. They work closely with their clients, helping them to mitigate risks and grasp opportunities. The company has over 180,000 employees, operating worldwide. 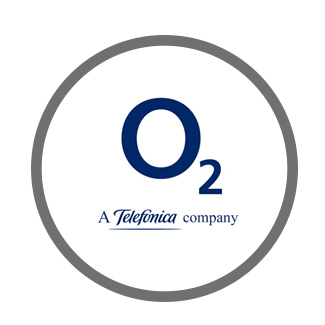 O2 is the commercial brand of Telefónica UK Limited and is a leading digital communications company with the highest customer satisfaction for any mobile provider according to Ofcom. With over 25 million customers, O2 runs 2G, 3G and 4G networks across the UK, as well as operating O2 Wifi and owning half of Tesco Mobile. O2 has over 450 retail stores and sponsors The O2, O2 Academy venues and England Rugby. Mission: There are over 7,000 of us at O2. We’re all very different. And we all love what we do - whether we’re surprising our customers in our stores or creating the next big thing at our head office. Every day is an adventure. There’s always a real buzz about the place. And we’re on the lookout for more great talent. A choice of benefits. The latest gizmos. Bright ideas. All kinds of career routes. You could enjoy all of these things and more at O2. 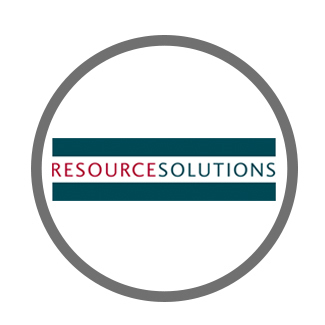 Established in 1997, Resource Solutions is a provider of Recruitment Process Outsourcing (RPO) and Managed Service Provider (MSP) solutions. As part of the Robert Walters Group – a world-leading specialist professional recruitment consultancy, our business has considerable resources at its disposal. With a global footprint across 25 countries, we’re able to work in close partnership with organisations and manage everything from global accounts with demanding resourcing strategies to single sites with lower recruitment volumes. We currently source and recruit for clients in over 40 countries, manage a recruitment budget of over £2 billion and hire tens of thousands of employees each year. We’re in a strong position in the market, and aim to build on that further still – developing quality solutions and driving service improvement, innovation and value in order to continuously exceed client expectations. Sainsbury’s commitment to helping customers live well for less has been at the heart of what we do since 1869. Today that means making our customers’ lives better and easier every day by offering great quality and service at fair prices – across food, clothing, homeware and financial services – whenever and wherever they want it. As our customers’ lives change, so will our business. 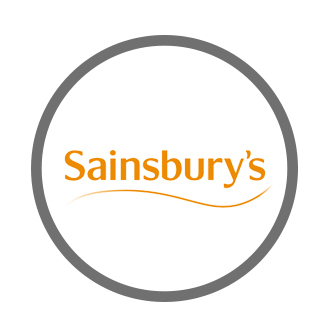 Sainsbury's acquired Home Retail Group, the owner of Argos and Habitat, on 2 September 2016, creating one of the UK’s leading food and non-food retailers - a multi-product, multi-channel business with fast delivery networks. In February 2015, Industrial and Commercial Bank of China Limited (ICBC) acquired a 60% stake in Standard Bank Plc and the bank was subsequently renamed ICBC Standard Bank Plc. As a result, a compelling strategic platform was formed, one that benefits from a unique Chinese and African parentage and an unrivalled global network and level of expertise. As a leading financial markets and commodities bank we connect our clients to opportunities in both developed and emerging economies and use our distinct competitive advantage to help our clients achieve their objectives. ICBC Standard Bank is driven to deliver the right outcomes for our stakeholders, clients, counterparties and the markets in which we operate. We deliver products in an environment which considers the appropriate needs of our clients, whilst providing guidance and expertise to ensure our employees understand our business and uphold the highest levels of conduct. We want passionate and talented individuals who are motivated by high growth potential being achieved in doing business the right way. 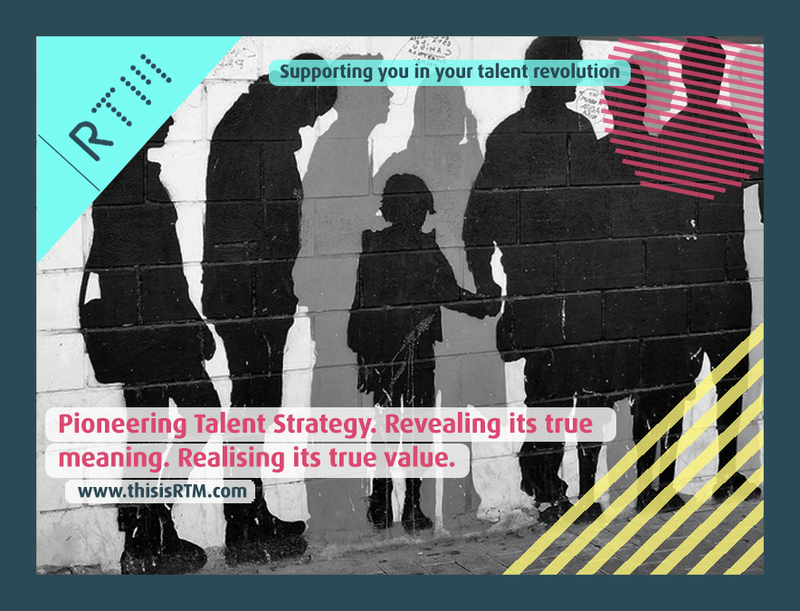 Veran is one of the few UK consultancies to focus exclusively on HR transformation. 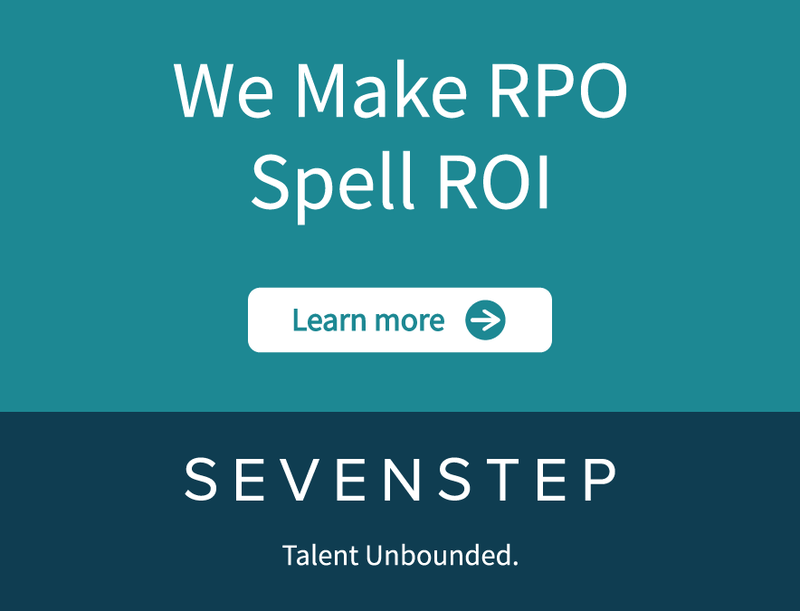 We specialise in improving business performance through HR cloud technology and enable our clients to prepare for and deliver successful HR transformation. 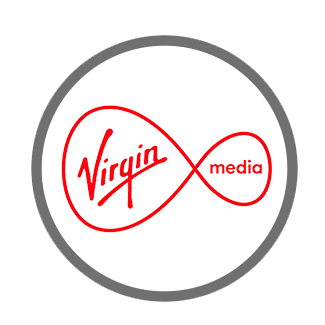 Virgin Media is a place where good things happen, and we give our people the power to make them happen. Because it's not just about changing the game for our customers, our business, and the industry. It's about changing the game for our people too. We turn them on to new experiences and big opportunities, ignite what makes them great and empower them to make their time with us their own. Annapurna Recruitment was founded by its three partners (Nigel Fox, James Ballard and Charlie Appleyard) with the intention of becoming the 'World's Leading Responsible Search Firm'. 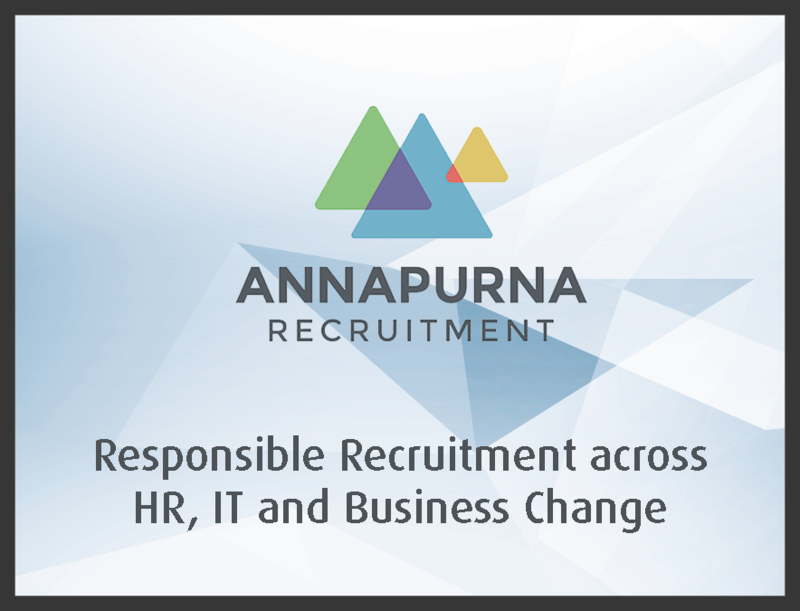 Based in London & Munich, Annapurna has a focus on the HR, IT & Business Change markets, operating in the UK, German & Nordic market. 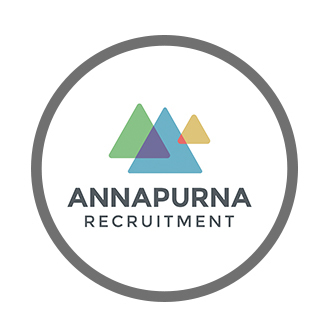 Annapurna provides the highest quality values led recruitment service delivered by the best consultants, utilising a search methodology derived from a passion for innovation, thought leadership and outstanding corporate social responsibility. Energon People are the first technology recruiter in the UK to move entirely to video based assessment at the CV submission stage. They work across technology and change sectors covering roles for executive & CxO, commercial & technical, software engineering, testing & QA, devops & automation, infrastructure & networks and sales & marketing. 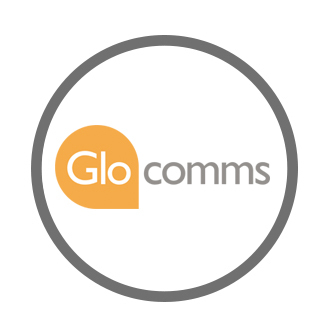 Glocomms is the leading supplier of niche skills to the Adaptive Technology sector. The Glocomms team has a deep understanding of the fast changing eco system and aims to be first to market with new products to add significant value to our clients. We offer Executive Search, Exclusive Contingency and Project Based Contract Recruitment. We are a truly global organisation, placing candidates across Europe, the US, Asia and Middle East. 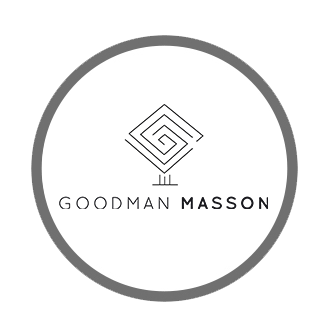 Goodman Masson is the largest financial recruitment business in London. With a team of over 150 we operate purely within the specialism of Finance; covering core Accounting, Change & Transformation, Tax, Treasury, Internal Audit, Risk & Regulation, Finance Change, Actuarial & Investment Management, Banking Operations, Corporate Finance, Compliance & Financial Crime, Cyber Security and Product Control & Valuations. For many, our strategic ambition ‘To treat their people better than any other business in the UK’ is unusual but is something that we take seriously. We remain fascinated with the modern workplace and are committed to workplace change. Our approach to looking after their people (The Experience®) has meant we have become a multi award winning business and have been granted two trademarks on the subject of employee engagement. Called The Experience® and There is more to life than Work®. 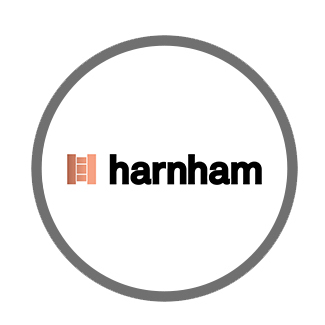 Harnham is the largest specialist data and analytics recruitment consultancy in the world, with high performing offices across the UK, Europe and U.SA. With teams globally recruiting into Credit Risk, Marketing Analytics, Data & Technology, Data Science, and the Digital Analytics markets, we’ve immersed ourselves in this growing market and enjoy being an integral part of this community as it evolves. Headquartered in the city of London, Mansion House is a dynamic Insurance and Investment search and recruitment consultancy with ambitious growth plans. Established more than 15 years ago, Mansion House was established to service the Insurance and Investment sectors. We now work with an impressive Europe-wide portfolio of clients, and are considered a true specialist in our core markets. Our sustained focus on our core markets of insurance and investment has given us a deep understanding of both the firms and the people in our sectors of specialism. This knowledge, gathered through many years of experience, is what sets us apart from our competitors, and allows us to provide an unrivalled service to both candidates and clients alike. Established in 2004, Selby Jennings is a global recruitment firm specialising in Banking & Financial Services. Within each team, every consultant has a micro-specialist area of expertise, ensuring you gain a partner with knowledge that can immediately add value. In today’s marketplace, a global view is essential when identifying talent. Selby Jennings’ growing network of interconnected offices combine local knowledge with global reach, providing you with valuable visibility of talent movement across the globe, offering professionals a unique view of where their career could take them, and a supply of talent that others are likely to overlook. Every professional should benefit from the advice of a trusted partner throughout their career. Selby Jennings provides that partnership to mid to senior level professionals within Banking & Financial Services, through their network of micro-specialist consultants. 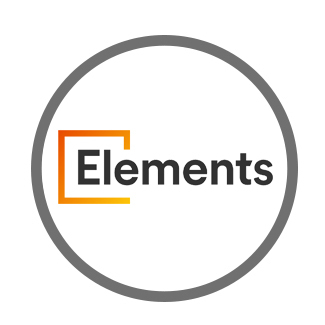 We are Elements, a global hiring consultancy that helps transform high-growth tech orgs to build and resource world-class talent functions. 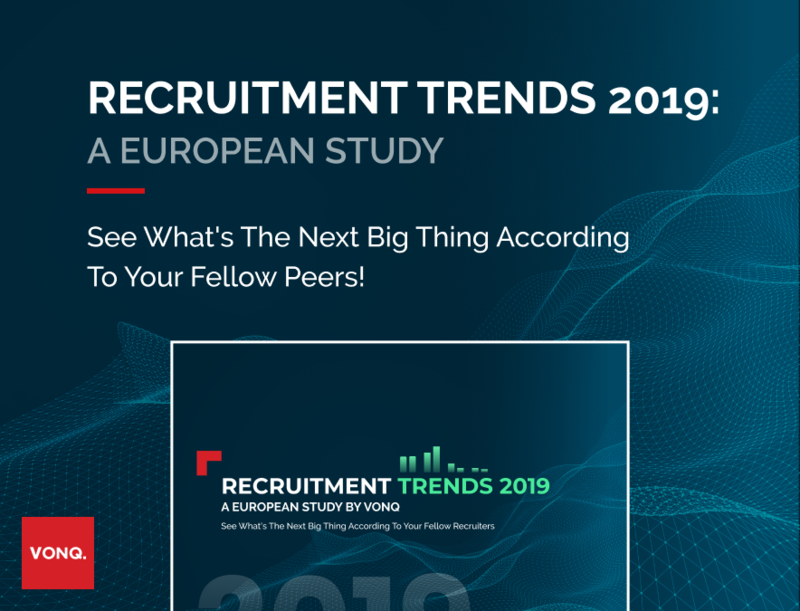 Since 2009, they’ve helped some of the world’s leading technology companies to hire some of the best global talent making the most of the passive candidate market and relocation talent pools. If you're interested in posting jobs on the BTN, please send an email to d.smith@thebtn.tv.